Cold incapacitation is the most common cause of death from immersion in cold water, not hypothermia. 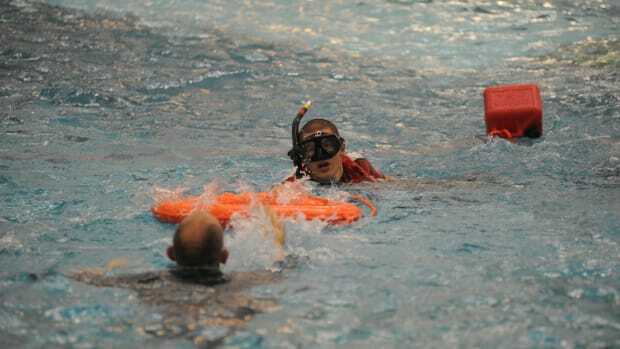 I was meeting with 40 professional mariners last week to discuss their man-overboard procedures. Since they operated where the water is cold (under 60 degrees most of the year), I asked them my favorite question. To understand the dangers of cold water, you have to stop thinking of hypothermia and start thinking of the four dangers of accidental cold water immersion. The truth is that cold water kills, but hypothermia is just one way that it does, and it’s not the most common way. If you find yourself immersed in cold water, four things happen to your body that you should understand. The first phase of cold water immersion is the cold shock response. It is a stage of increased heart rate and blood pressure, uncontrolled gasping and sometimes uncontrolled movement. Lasting anywhere from 30 seconds to a couple of minutes, the cold shock response can be deadly all by itself. In fact, of all the people who die in cold water, it is estimated that 20 percent of them die in the first two minutes. They drown, they panic or they take on water in that first uncontrolled gasp. If they have heart problems, the cold shock may trigger a heart attack. Surviving this stage is about getting your breathing under control, realizing it will pass and staying calm. 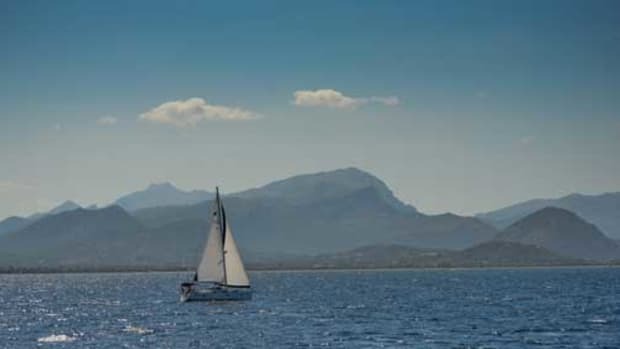 One of the primary reasons given by recreational boaters when asked why they don’t wear a life jacket is that they know how to swim. Listen up, Tarzan; I swam for a living for the better part of my adult life, and when the water is cold (under 60 degrees), none of us can swim for very long. Mario crawls out of Lake Eerie after a 29 minute immersion during filming of Cold Water Boot Camp in 2008. The second stage of cold water immersion is called cold incapacitation. Lacking adequate insulation, your body will make its own. Long before your core temperature drops a degree, the veins in your extremities (those things you swim with) will constrict; you will lose your ability to control your hands and the muscles in your arms and legs will just flat-out quit working well enough to keep you above water. Without some form of flotation, and in not more than 30 minutes, the best swimmer among us will drown in cold water. There’s no way around it. 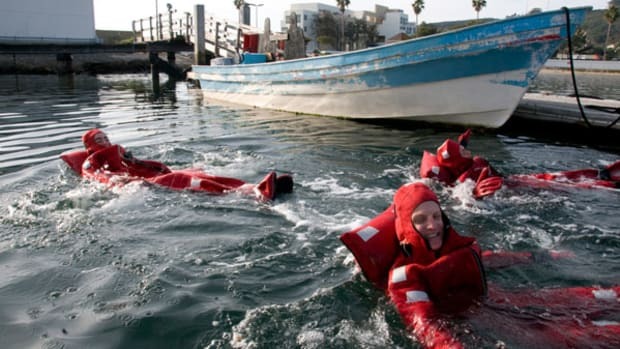 Without ever experiencing a drop in core temperature, over 50 percent of the people who die in cold water die from drowning following cold incapacitation. Hypothermia can kill, but that only happens in about 15 percent of cold water deaths. You have to have some form of flotation to get hypothermia, and it takes much longer than you think. We are all different in this regard, but I once spent an hour in 44-degree water wearing street clothes, and my core temperature was only down by less than two degrees; I was not clinically hypothermic. It was uncomfortable to be sure, and I wouldn’t recommend finding your limit, but it probably would have taken another hour to lose consciousness and an hour after that to cool my core to the point of no return. The body’s efforts to keep the core warm — vasoconstriction and shivering — are surprisingly effective. Shivering and blood shunting to the core are so productive that twenty minutes after jumping in, I had a fever of 100.2. 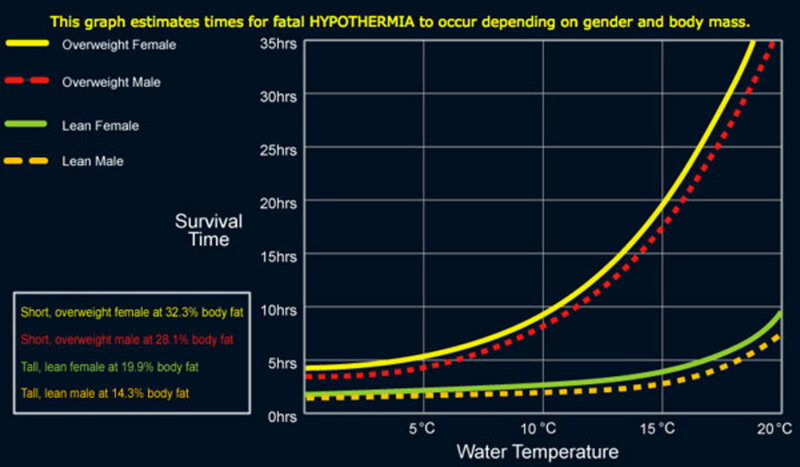 Water temperature and body fat percentage are important factors when considering your risk for hypothermia. I lost count of the number of survivors I annoyed in the back of the helicopter because I wouldn’t let them move. I had a rule: If they came from a cold water environment, they lay down and stayed down until the doctors in the emergency room said they could stand. 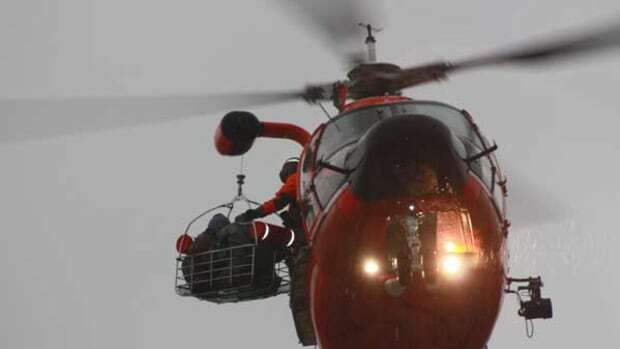 It didn’t matter to me how good they felt or how warm they thought they were because the final killer of cold water immersion is circum-rescue collapse. Shortly before, during, or after — sometimes hours after — rescue, victims of cold water immersion pass out, experience ventricular fibrillation or go into full cardiac arrest. Hypothermia does things besides making everything colder. Victims are physiologically different for a while. One of the things that changes is called heart-rate variability. In other words, the heart’s ability to speed up and slow down has been affected by the cold. Getting up and moving around requires your heart to pump more blood, and being upright and out of the water is also taxing. Then any number of other factors collide and the heart starts to flutter instead of pump— and down you go. Victims of immersion hypothermia are two things: lucky to be alive and fragile. Until everything is warmed again, out of the water and dry is good enough; mobility comes later. 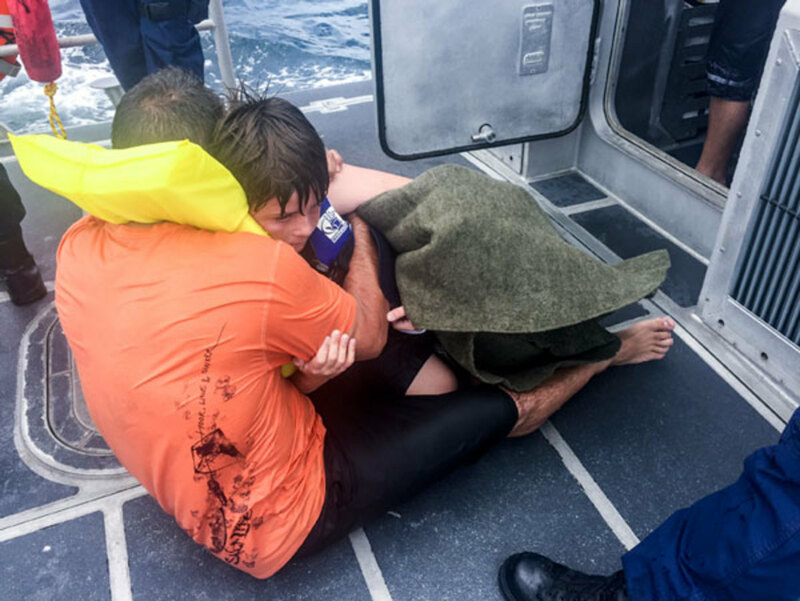 After being rescued there is a chance that victims may suffer from the delayed effects of drowning or collapse of arterial pressure. 1. 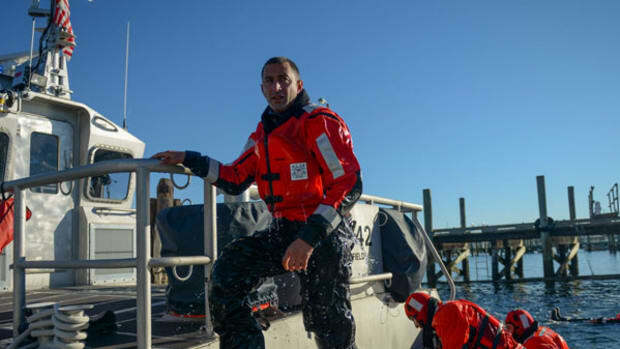 When working on deck in cold-water environments (water under 60 degrees), always wear flotation. 2. 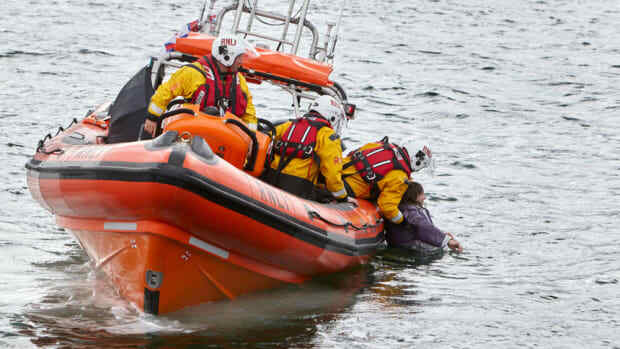 If you witness a man overboard, getting the life ring directly to that person is critical. Vital. Step one. Must do it. 3. Make certain that your life ring is not just on your vessel, but readily available and not tied to the cradle. 4. 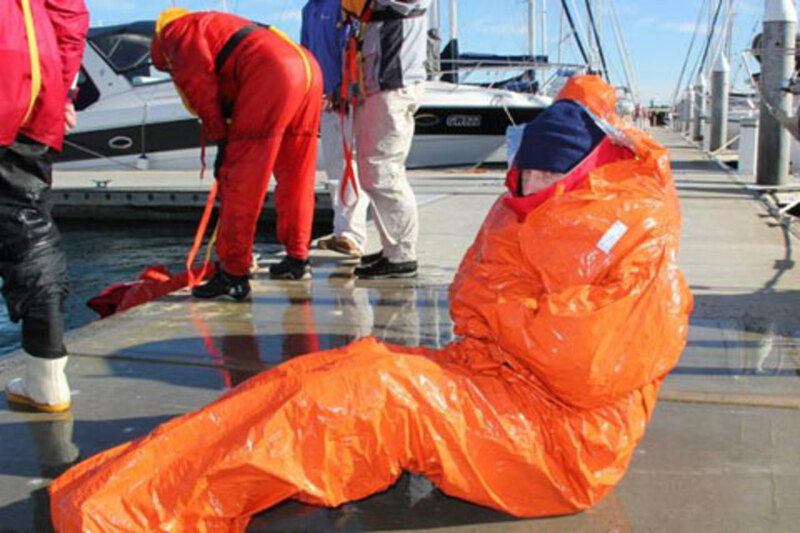 When working on deck in cold-water environments, always wear flotation. Didn&apos;t I say that already? Well, when I quit reading search reports that end with “experienced” mariners dying because they thought they understood cold water, I’ll come up with better advice. For more advice on how to handle an accidental immersion into cold water, watch Cold Water Boot Camp. It&apos;s one of the best 10 minutes on immersion hypothermia ever produced. 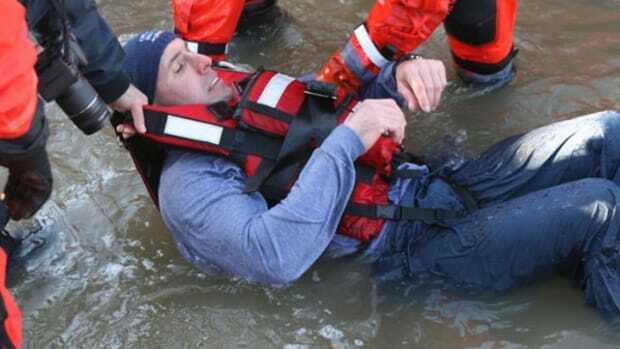 Next week, we’ll talk about how to handle someone who has gone over in cold water and how to best care for him or her until you get that person safely to shore.